Paulo Mendes da Rocha was born in October 1928 in the city of Vitória- the harbor capital of Espírito Santo, son of the naval engineer Paulo Menezes Mendes da Rocha and Angelina Derenzi, daughter of an Italian family that had emigrated to Brazil. When his father assumed the coordination of the Naval and Harbor discipline at the Polytechnic School of the São Paulo University (USP) in 1940, the family moved to São Paulo. Paulo Mendes da Rocha graduated from the Mackenzie University Architecture School in 1954 and built a career planning houses, schools, apartment buildings, museums, several urban projects, stations and sport equipment, furniture and theatre sets. Soon after his graduation, in 1957 he won a national competition for the construction of a gymnasium – the Clube Atlético Paulistano. This work brought him public recognition and won the principal award at the 6th Bienal of São Paulo, in 1961 – Grande Prêmio Presidência da República. In 1968, he won the national project competition for the Brazilian Pavilion at Osaka Expo 70 and travelled to follow the development of the construction in 1969. Among several international honors, he has been awarded with the Mies Van der Rohe Foundation Prize for his Pinacoteca de São Paulo project. He was selected in 2000 to represent Brazil at the 7th International Architecture Exhibition of La Biennale di Venezia. He received the Pritzker Architecture Prize in 2006. In Brazil, he was twice honored with the Ordem do Mérito Cultural, in 2004 and 2013. He also received twice the trophy from APCA ‘Associação Paulista de Críticos de Arte’, in 2012 and 2015. In 2016, he was awarded with the Golden Lion for lifetime achievement at Venice Architecture Biennale and with the Imperiale Praemium in honour of Prince Takamatsu in the category of architecture in Japan. He joined the academic world in the sixties when invited to teach at the School of Architecture and Urbanism at the University of São Paulo. He taught at the University of São Paulo from 1960 to 1969 and from 1980 till 1998; in 2010 he received the title of Professor Emeritus. He was President of the Brazilian Institute of Architects, São Paulo in 1972/1973 and 1986/1987. Besides his architectural and urban projects, he has designed furniture: one example is the chair ‘Paulistano’, published in the magazine ‘New Furniture, Neue Möbel, Meubles Nouveaux, Verlag Gerd Hatje’, Stuttgart, 1958. .2015 Doctor Honoris Causa, University of Lisbon. .Paulo Mendes da Rocha – Tutte le Opere, Daniele Pisani, con un saggio di Francesco Dal Co, Mondadori Electa S.p.A., Milano, 2013. 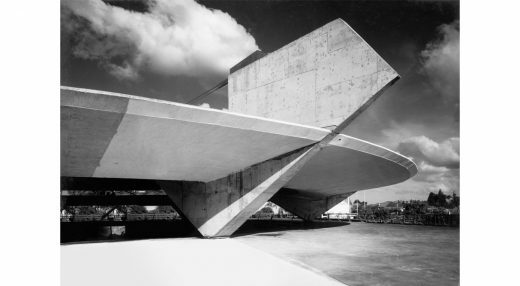 ‘Paulo Mendes Da Rocha has created a body of work, spanning six decades, that has consistency, resonance and strength. Indeed it could be argued in today’s culture which is blinded by celebrity and profit that his work is of even more significance and relevance. ‘His work has a courage and clarity that few can match. His structures are daring and joyous. His use of concrete bold and innovative. His plans at a building scale or at a city scale are generous and expansive. 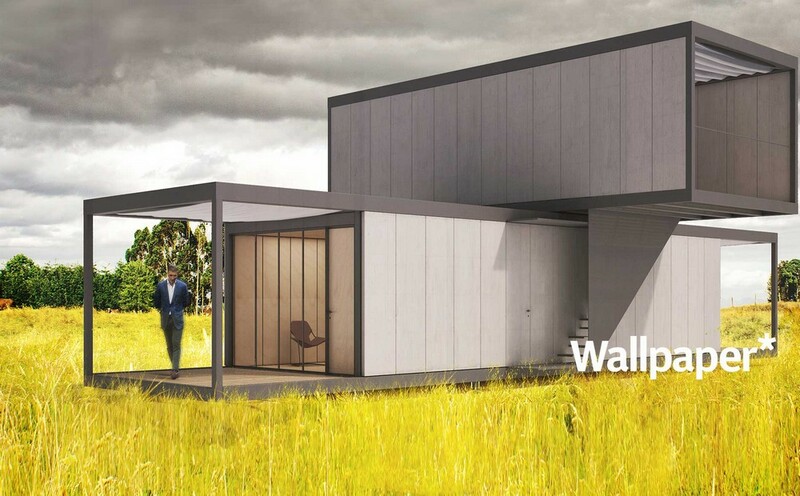 He is passionate about people and society and how his buildings might serve them. These remarkable qualities are present even in his earliest works. There is a quality to his work that renders it timeless. 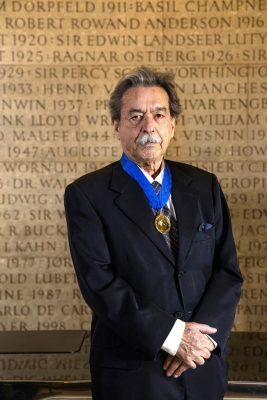 ‘I’m pleased to have been invited to prepare the following citation in honour of the eminent Brazilian architect, Paulo Mendes da Rocha, the 2017 RIBA Royal Gold Medal winner. Paulo’s international stature, which has been considerable for decades, arises from a remarkable and sustained combination of architectural originality, social concern, and educational work. ”All space must be attached to a value, to a human dimension,’ he said in 2004. ‘There is no private space. The only private space that you can imagine is the human mind.’ He has also said: ‘Every problem requires thinking, not ready-made solutions. You know that you don’t know, but there is urgency to do something. You have to discover the knowledge – that’s the whole point.’ That remark applies not only to the nature of architectural enquiry, but to the way Mendes da Rocha has approached teaching over the decades. ‘His potential greatness was immediately apparent in 1957 when, as an emerging architect, he designed and built his first major work, the Paulistano Athletic Club. The building immediately confirmed him as an original force among the international modernist avant garde, and established so-called Paulista Brutalism. ‘Though very different, his architecture projects have the same degree of powerful formal and structural presence as the works of masters such as Louis Kahn and Kenzo Tange. Whilst Mendes da Rocha’s architecture may seem to fit Robert Hughes’ definition of Modernism as ‘the shock of the new’, his structures are never designed to shock, but rather engage as directly as possible with ordinary people, ordinary lives, and ordinary settings. ‘The ideas that continue to produce his architecture are still internationally influential. When Mendes da Rocha was awarded the Pritzker Prize in 2006, the citation spoke of his mastery of the poetics of space. And this year, when he was selected for the Golden Lion for Lifetime Achievement at the Venice Biennale, the citation referred to the physical and stylistic timelessness of his buildings and the fact that his ‘astonishing consistency’ was the product of ‘his ideological integrity and structural genius.’ His 2016 citation as an Academician of the Royal Scottish Academy, also refers to these qualities, and whilst highlighting his influence on the post-WWII ground-breaking work in Scotland of Metzstein and MacMillan and others, brings the relevance of his work even closer to me. ‘A further and recent accolade for Paulo, is this year’s Praemium Imperiale Award by the Japan Art Association, for this lifetime contribution to architecture. ‘His architecture resists summary, but it very often counterpoises massive concrete formal elements with relatively delicate transition points of structure. This, in itself, is not uncommon. But the way da Rocha assembles the pieces in the geometry of his buildings remains unique; his engineering intelligence has always equalled his formal originality. ‘For example, his Brazilian Pavilion at Expo 70 in Japan was effectively balanced on a single point of terrain. At the gymnasium of the Paulistano Athletic Club, six concrete blades supported the thin, pre-stressed concrete circular roof; the blades anchored 12 cables which held up a central cap to the roof: a riveting combination of heavy elements and relatively delicate structural details that added something new to modernist architecture. ‘The same originality of form, and social connection, can be seen in his Brazilian public buildings in the 1970s and 80s, which included Estádio Serra Dourada and the Museum of Contemporary Art at the University of São Paulo in 1975; and the Forma Furniture showroom and the Saint Peter Chapel in 1987; the latter a concrete structure with two-storey glass facades, and a single concrete column anchoring the centre. ‘In the 1990s, in his Mies van der Rohe Award-winning scheme, Mendes da Rocha transformed Sao Paulo’s oldest fine arts museum, the neoclassical Pinacoteca do Estado, with internal bridges, a central canopy and an architectural language which magnificently retains, to this day, a freshness and quality of raw beauty and remains, in my view, one of his finest works. ‘Among his other important works are the Cais das Artes, Vitoria; the Brazilian Museum of Sculpture, Sao Paulo; and the dramatic canopy structure at the Patriarch Plaza, Sao Paulo. His domestic architecture – such as the Casa Mendes da Rocha, Casa Masetti, and Casa King – reflect the same explorations of strikingly clear compositions involving heavy structures and finer details. ‘Most recently, the scale and articulation of the 2015 National Coach Museum in Lisbon is continuing proof that the humane integrity and structural boldness of Mendes da Rocha’s approach to architecture is absolutely intact. ‘On a personal note, when I first met Paulo, with his family in Sao Paulo in 2012, I found him to be very clearly, deeply concerned with how architects can improve peoples’ lives and with an unfailing commitment to the art of architecture. He certainly did not consider himself as an heroic designer of iconic architectural objects, which makes this highly-engaging and modest innovator even more engaging and relevant today. 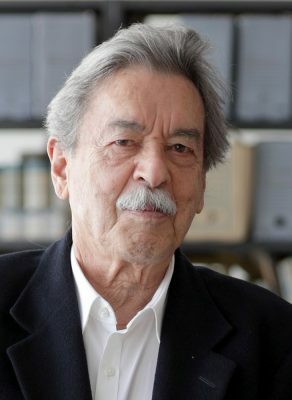 Brazilian architect Paulo Mendes da Rocha is to be awarded the Golden Lion award for Lifetime Achievement at the Venice Architecture Biennale later in May. The Board of Directors of La Biennale di Venezia received their recommendation from Chilean architect Alejandro Aravena. He won the Pritzker Architecture Prize in 2016 and is from Santiago, Chile. He is the director and curator of the Venice Biennale 2016 Architecture Section. 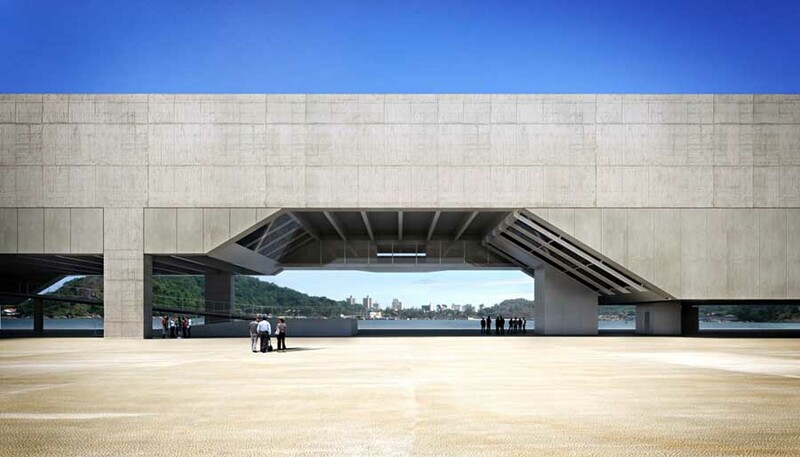 “Cais das Artes” brings together a theater with capacity for 1,300 spectators, a museum with 3000 square meters of exhibition area, plaza, library, auditorium and café. The project seeks to relocate Vitória, the capital of Espírito Santo state, on Brazil’s cultural map. Located in the “Enseada do Suá”, a long flat area that forms the island of Vitória, the “Cais das Artes” is designed to set a public promenade along the sea. The buildings are suspended to allow free view of the mountains of Penha Convent, important point of the local landscape, and create a large plaza for public use. February 2, 2017 in Architects.